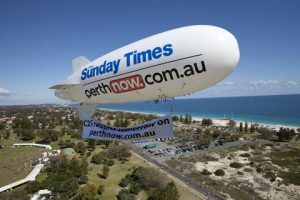 On our Portfolio Page you will find some examples of each category of inflatable advertising. As you can imagine anything is possible. The only limitation is your imagination! 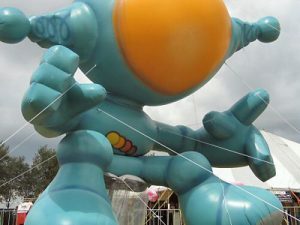 The unique Giant inflatables are a spectacular medium. No other outdoor advertising medium demand such recognition. 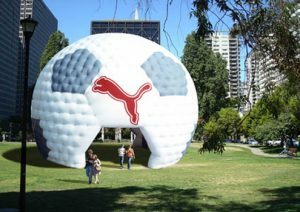 Ad Air Promotions can duplicate your product, logo or idea in 3D and as often and as large as required (max size approx 25m high). Tunnels and arches are particularly popular with i.e. 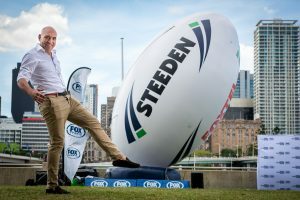 sport or festival events. they make a grand entrance and/or finish big at your next sporting event. Our design team is able to incorporate your mascot or logo into an entry, tunnel or arch. 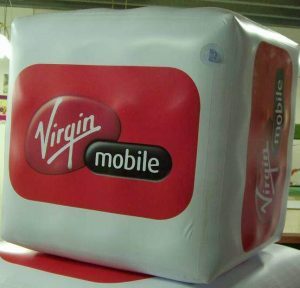 When you need to elevate your product or logo, then helium filled inflatables are a very cost effective answer. Your floating logo will be seen from every angle and great distances, particularly when illuminated during the darker hours. Blimps or zeppelins come in a number of basic formats, in and outdoor, motorized and tethered versions, optionally fitted with a dropping mechanism which can drop tickets, caps or T-shirts, depending on the size of the blimp. The motorized options are fitted with a remote control system so that the blimp can be piloted through a designated area (this option requires a trained R/C operator). Other options are the helium filled spheres, custom made and giant characters. 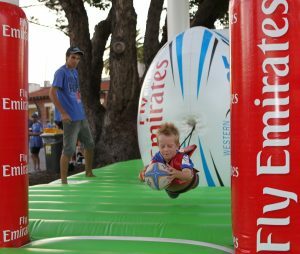 When sport events call for participants, AD AIR PROMOTIONS manufactures a range of inflatables with a variety of interactive activities. These can be complete sports fields, Rugby throwing and football shooting targets, water games or zorb balls, to name but a few. Ad Air promotions offers a variety of interactive inflatable games to suit your needs. Ad Air Promotions also produces a complete range of kiosks, dome tents and stands. These products can be completely custom made to your specifications. 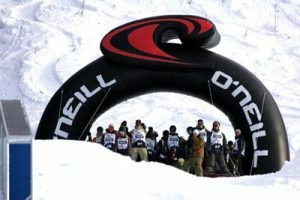 Inflatable domes are used during all sorts of events, open air functions and trade shows but also for organisations such as the Red Cross or Emergency Services, Aid and Rescue operations. They are a very flexible temporary solution. Sky Dancers attract attention, particularly from street level. The various styles, such as 1 or 2 legged, toppers, shorties, seasonal and hybrids or many other variations will definitely enhance your marketing exercise. 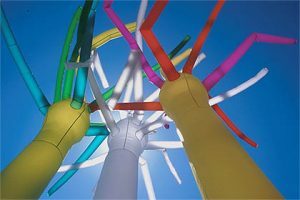 The material used is of the highest quality industrial ripstop spinnaker material. You want to create your own idea, use your logo or create a character?… Talk to us about the possibilities. These highly visible and quick to set-up marketing tools are superbly suited to give a product an extra dimension and support of the main promotion through a high viz presence. 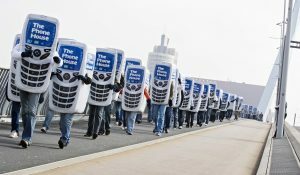 a big area or event can be covered by a small number of these suits. Air Tight Products are products made of PVC. 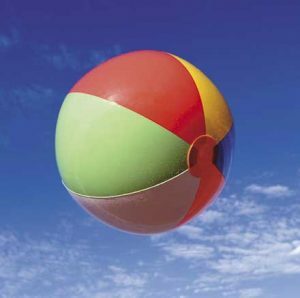 These products can be anything, from beach balls to furniture to characters and all sorts of custom made articles and more. It is possible to create or copy nearly every shape or form. Welcome to the world of Cheering Sticks. Wherever there are events, rallies, sport matches, the Ad Air Cheering Sticks are a “Must-Have” for any Fan. They are custom printed and can have up to 4 different logos per stick. Add a sponsor logo and share the costs. There are many options to choose from. Contact the team for more information! 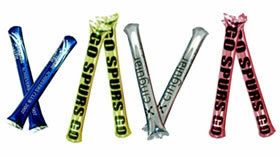 Click HERE for an overview of all our Cheering Sticks. Balloons come in many sorts and sizes, depending on your campaign requirements you can use small, giant, foil and “Auto” (self-inflating!) balloons. They can be custom printed with your artwork, or you can choose from the “Standard” range. 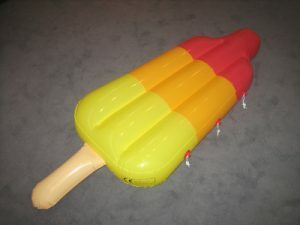 Auto inflatable balloons can be supplied with an envelope from which they pop out during inflation when a widget is activated. A fantastic way to “HIGHLIGHT” your campaign with the possibility of creating any single shape in unlimited sizes, these units can bring untapped advantages to your campaign. The lightweight, super flexible, paper thin (0.88mm thick) characteristics, combined with a better than 160 degree viewing angle makes this unit the solution to jazz up your campaign. The LOW power consumption (typically 3 – 10W) the freedom of creating the way the animation and illumination sequence runs plus the fact that this unit can be attached to paper, film, foil, plastic, metal, rubber, glass, leather and fabrics makes this product the most creative addition to your advertising toolkit. There is no need for bulky, heavy frame constructions. With the possibilities of incorporating Movement Sensors, Light Sensors, Sound Sensors, Timer or other External Stimulus, you can fine tune your application to suit your campaign with the most exciting solution in the way of banners today. 3D triggers that are well positioned on locations where your customers make their purchase decision. Product replicas or different striking designs to influence the choice are key. Added value is that many of these items are used by consumers, long after the campaigns have finished. Deflated Air Tight Inflatables are extremely compacted and hence are the most obvious on-pack promotional product and mailing choice.